Considering pharmacy assistant training, but not totally sure this career path is right for you? Wondering about job options, courses, and the skills you would need to succeed in this field? We've got you covered. This week, we gathered together the most frequently asked questions about pharmacy assistant training. These are the questions we often get from prospective students, who are trying to figure out what this program is all about. For answers, we went straight to the source: Robert Orser. Robert (Bob) is the instructor for Herzing's Pharmacy Assistant Program, and has more than 40 years experience in the field. There is no one better to talk to about careers in pharmacy! So, read on for everything you wanted to know about getting your diploma, and starting a career as a pharmacy assistant in Ottawa. Q: You have over 40 years experience owning and managing pharmacies. 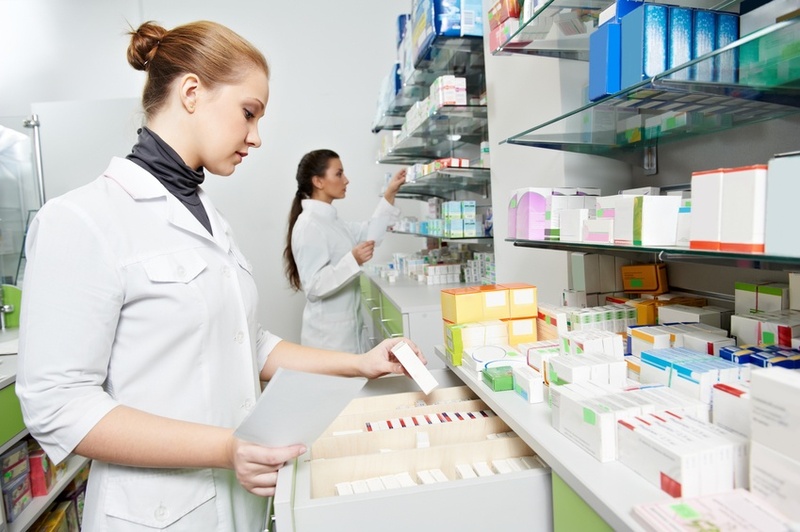 What qualities do managers look for when hiring Pharmacy Assistants? Bob: A good attitude goes a long way. A basic understanding of Pharmacy is important, but nothing is as important as the willingness to learn and the ability to listen. I have owned a Pharmacy in Orleans, been an Assistant Director of Pharmacy at a Hospital in Ottawa, and taught Pharmacy Assistant students for many years. Along the way, I have met various personalities and people from all walks of life. The ones who have impressed me the most, are those who are flexible, have a positive attitude, and are willing to accept change. Q: Who is the “ideal” candidate for Pharmacy Assistant training? Bob: It's simple. An ideal candidate is someone who can adapt to change, has a sense of adventure, a sense of humor, and is willing to learn and work hard. Q: In your opinion, what makes Herzing’s Pharmacy Assistant Program the best option for training in the Ottawa area? Bob: Herzing’s Pharmacy Assistant Program is unique in that you can earn the diploma, and be job-ready, in just 10 months. This is one of the shortest, most comprehensive programs in Ottawa. The profession can be fast-paced, where you will meet people from every walk of life. The program itself is fast-paced, making it an excellent preparation for the real world of work. We do a lot of labs, quizzes, and assignments in a short period of time—keeping students on their toes and ensuring everyone is learning and progressing well. Another great aspect of Herzing's program, is that it reflects the diversity of Ottawa. Our students come from all over the world, which makes the learning environment even more interesting - and closer to what you'll experience in a real pharmacy. Q: What part of Pharmacy Assistant training do students usually enjoy most? Bob: The Drug Preparation and Dosage Calculation course is always a favourite. Students get to weigh out various chemical compounds, break down their particle size, and mix them. It's so rewarding to see a student’s smile when their mixture is a success. Q: What topics do students find most challenging? Bob: It's funny - students often dread the Pharmaceutical Mathematics course. But in the end, most of them end up getting an A! I really enjoy teaching this course. It gives students a big boost of confidence in their ability to handle numbers and math. They're usually really surprised at how well they do. Q: Does the role of Pharmacy Assistant change much depending on where they work? Community pharmacy versus hospital pharmacy, for example? Bob: Yes, the role of the Pharmacy Assistant does change depending on where they work. In a community pharmacy they focus on preparing prescriptions and compounding creams and ointments. In a hospital pharmacy, they do those same tasks, plus sterile work such as preparing IV therapy. The hospital may have an IV additive program, so all antibiotics and IV’s are prepared by the pharmacy in a sterile laminar flow hood. This is taught here at Herzing with the IV aseptic course. Q: Where do most Pharmacy Assistant students find their first job after graduation? Bob: Pharmacy Assistants typically find work in retail pharmacies. But there are other career options out there. Assistants can work in specialized compounding pharmacies, and in long-term care homes. Some may work in hospitals in Quebec, and in health regions of Ontario that do not require a Technician license to work in their pharmacies. Q: So, what's the main difference between Pharmacy Assistant and Pharmacy Technician? Bob: The main difference is that Pharmacy Assistants are not licensed or regulated by the College of Pharmacy. Pharmacy Assistants in Ontario are able to read and process a prescription. They are allowed to select the drug and prepare it, and they can adjudicate an insurance claim. On the other hand, Pharmacy Technician is a protected title in Ontario. They can do all the same tasks as Assistants—but they also have signing authority for refills, and can transfer a prescription from one pharmacy to another. Generally speaking, the majority of Pharmacists are not yet comfortable with the idea of the Pharmacy Technician checking a prescription. They are more comfortable with the role of the Pharmacy Assistant, and the level of training we provide at Herzing. Many pharmacy managers choose to hire Pharmacy Assistants instead of Technicians. They know Assistants have an excellent education, and have been well trained in all aspects of pharmacy practice. This is the real advantage to earning a Pharmacy Assistant Diploma. You'll have more job opportunities. Q: Can you tell us about the internship part of Pharmacy Assistant training? How does it work? Bob: Each student is assigned a 4-week internship, where they work 25 hours a week at a local pharmacy. Students are closely supervised, to ensure they become familiar with all aspects of the pharmacy. They have the chance to ask questions whenever needed, and discuss any areas of concern while working at the pharmacy. Herzing's goal is for each student to demonstrate a positive attitude for learning, so they can get the most out of the internship experience. By the end of 4 weeks, our Pharmacy Assistant students are prepared to become candidates for real positions in the field. The internship is an excellent way to build confidence, apply skills learned in class, and make that final transition from student to professional. And there you have it. Some of the most common questions we get about pharmacy assistant training, answered by our very own expert. A big thank-you to Instructor Bob Orser for his insights and advice! And best of luck to this year's class of Pharmacy Assistant students. Have a question we didn't cover here? 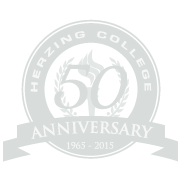 Want to learn more about Pharmacy Assistant training at Herzing College Ottawa? We'd love to hear from you. Use the links below to request free information by email, chat live with an admissions advisor, or browse the program page. Get fast, free information about the program, admission requirements, courses, start-dates, and more, sent straight to your email. Browse courses, see a program overview, and find links to chat live, book a campus tour, and much more. We're here to help!